Sunmmer 2014 - Launch of a newly developed MakerBot Z18, a 3D printer named in full: MakerBot Replicator Z18 having a relatively large build volume of L=305mm x W=305mm x H=457mm (in inches: 12 x 12 x 18), especially suitable for tall objects. Features mobile and Wi-Fi connectivity. 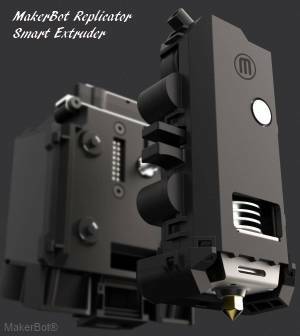 The MakerBot spokesman says that their new 3D printer - retail price around US$6,500 - provides professional quality 3D printing, comparable with professional printers which costs a lot more. And continues saying that the Replicator Z18 is considered to be used for engine prototypes, industrial models, fictures, jigs, next generation spacecraft and movie special effect models. 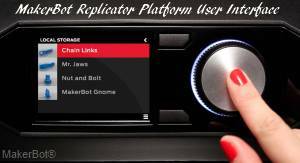 Here's more about Replicator Z18 at the MakerBot website.